Have you ever needed to find a file buried somewhere in your computer? Have you ever needed to find a specific string of text inside a file? FileSeek portable can do that, and more. 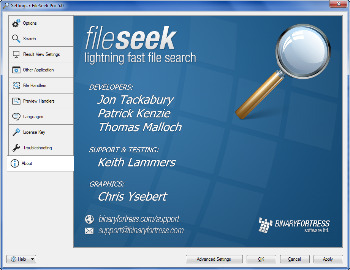 FileSeek is lightning fast, small and super easy to use. It can even be integrated right into the Windows Explorer right-click menu to provide quick and easy access. FileSeek doesn’t use background indexing, so when FileSeek is closed your computer’s performance won’t be affected.